Sulh Ensemble’s artistic director, Jon Silpayamanant, holding his Saw U after a performance at the South Central Regional Library in Louisville (2017). 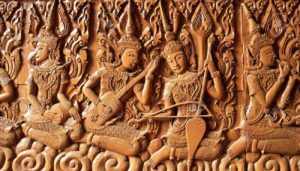 The Saw U is a bowed string instrument from Thailand with the body of a carved coconut shell. 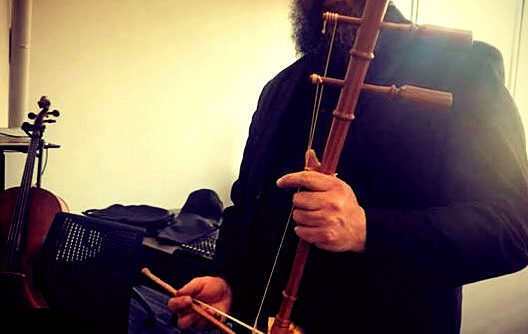 The strings are traditionally made of silk and are tuned A and D. The bow is made with horsehair and is strung in between the strings much as the Chinese Erhu is.